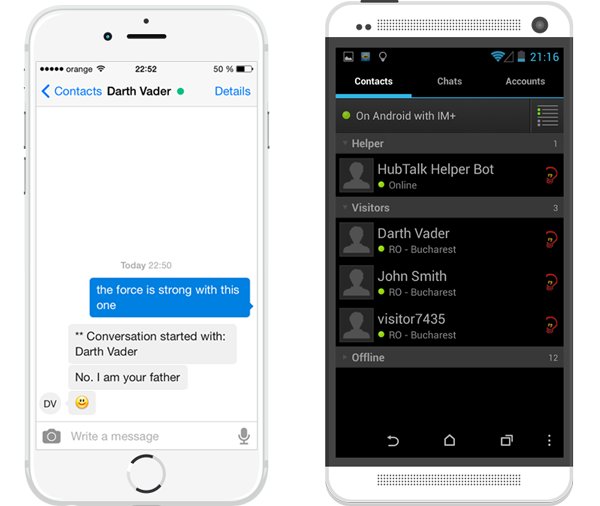 HubTalk Live chat works on mobile websites as well. 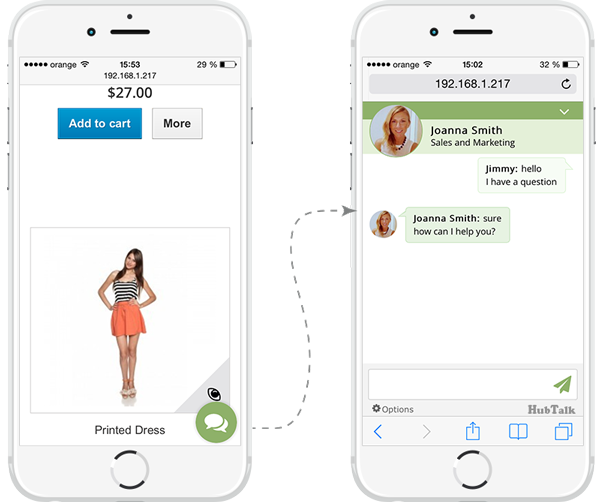 With a simple click your mobile customers can start chatting with you. Provide support in over 30 languages. If you have a multi language website, you can separate your visitors based on the language they speak and assigned them to a certain operator. Add even more customization by selecting different thematic templates for Halloween, Valentines Day, Black Friday , etc..
Form fields appear one after another ,clients having the possibility to cancel it at any time and still chat with one of your operators. Best integration you can find on ecommerce platforms.